Win Talon Ted in charity seat raffle! 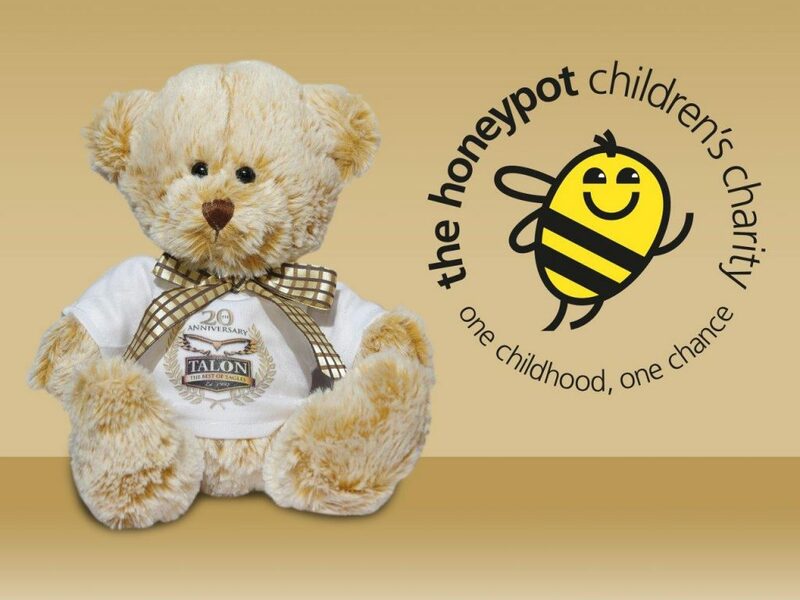 We are so thrilled and excited to announce that we have for our 20th Anniversary year teamed up with the fantastic ‘The Honeypot Children’s Charity’ who support and give respite breaks to young carers and vulnerable children between the ages of 5 and 12. Their message is clear and simple: One Childhood, One Chance. We have created Talon Ted, one for each concert, sporting his Talon tee and smart bow and he can be yours by putting £1 in the collection box at the merchandise table, add your seat number in the book, a member of staff will randomly point at a number which will be announced from stage and you can collect your Talon Ted after the concert. A fun way to support the charity so join in and have your £1 and seat number ready!